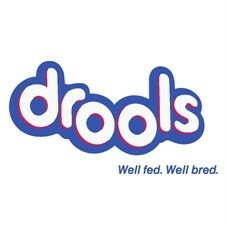 Buy Drools Large Breed Puppy Dog Food at Marshalls pet zone-low price. Nutritionally support balanced muscular and skeletal development of Large Breed Puppies. For Additional Information - click here Type: Dry food. Quantity: 3kg. Enriched with Omega oils. Crispy shell with the delicious creamy centre biscuit.